It&apos;s been months since we&apos;ve seen Sienna Miller—so I&apos;m very excited to have her leading this latest round of beauty inspo. She is looking prettier than ever! There&apos;s actually tons of makeup I love this week: lots of clever eyeliner, dreamy skin and on-point eyebrows. It&apos;s a good one! Sienna Miller at the 2016 Tribeca premiere of &apos;High Rise&apos;. Close-up of Sienna Miller at the 2016 Tribeca premiere of &apos;High Rise&apos;. What I love: Before the #wokeuplikethis hashtag, there was Sienna. Does anyone do effortless, bedhead beauty better? I think not—I&apos;m in love with her undone hairstyle (updo? I&apos;m not sure what it is) and fresh-faced makeup. You can see her actual skin, not foundation or powder, and she skipped lipstick in favour of darkened lashes and a 360-degree swipe of smudgy plum liner. This look is 100 percent aspirational to me. What I&apos;d change: The tail of one brow could be tamed with a slick of gel, but otherwise... nothing! Nicola Peltz at the 2016 Marie Claire Fresh Faces party. Close-up of Nicola Peltz at the 2016 Marie Claire Fresh Faces party. What I love: Nicola&apos;s makeup is the epitome of the "you, only better" concept. Every feature has been subtly enhanced, and they&apos;re all in perfect balance—nothing looks overdone or screams for attention. My favourite parts are her just slightly dewy skin, au naturel brows and defined lashes. What I&apos;d change: I&apos;ve said it before, and I still think she&apos;d be even MORE striking with shorter, darker hair. Jessica Chastain at the 2016 premiere of &apos;The Huntsman: Winter&apos;s War&apos;. Close-up of Jessica Chastain at the 2016 premiere of &apos;The Huntsman: Winter&apos;s War&apos;. What I love: Jessica&apos;s new and improved beauty look continues to impress. (Kate Lee&apos;s work again!) This is like a daytime version of what she wore to the MTV Movie Awards. I adore her hair in every way (length, colour, texture), and it&apos;s insane how her skin is completely pore-less. Her brow game is heaps better, and the soft berry lipstick is the perfect shade for her. What I&apos;d change: Nothing. Jennifer Lawrence at the 2016 premiere of &apos;A Beautiful Planet&apos;. Close-up of Jennifer Lawrence at the 2016 premiere of &apos;A Beautiful Planet&apos;. What I love: As a fellow person with hooded eyes, I always admire Jennifer&apos;s eye makeup—and these cat eyes are especially impressive. The flicks, the waterlines, the fluffy upper lashes and the dusting of inner-corner shimmer... I am in awe. I&apos;m glad she went light on the blush and lips, to emphasize the contrast of black liner against platinum blonde hair. J-Law is all grown up! What I&apos;d change: Nothing. Hailee Steinfeld at the STX Entertainment presentation at CinemaCon 2016. Close-up of Hailee Steinfeld at the STX Entertainment presentation at CinemaCon 2016. What I love: Hailee looks so pretty and ballerina-like in this top knot with rosy pink cheeks. Her matte blush and lip colour look like she&apos;s flushing from within (although I&apos;m not even sure that IS lip colour, or just her natural hue). Somehow, the black liner/shadow doesn&apos;t look heavy, because it&apos;s kept below the crease and softly smudged. I particularly like how she emphasized her lower lashes. What I&apos;d change: Nothing. Emilia Clarke at the 2016 Refugee exhibit at the Annenberg Space for Photography. Close-up of Emilia Clarke at the 2016 Refugee exhibit at the Annenberg Space for Photography. What I love: Quelle surprise, I like Emilia&apos;s makeup again—or should I say, lack thereof! This is a typical low-key look, featuring sheer glossy berry lips, fresh skin and soft lashes. The one graphic element that pops is the jet-black liner hugging her upper lash lines. 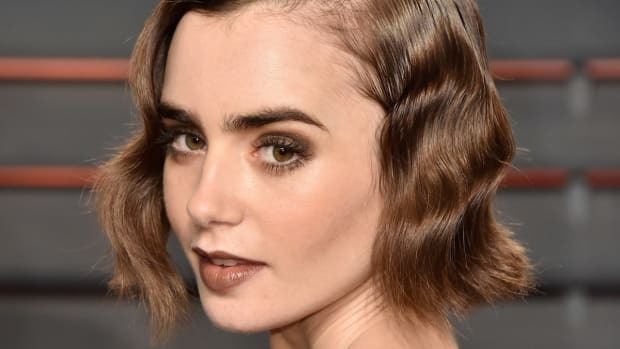 What I&apos;d change: It&apos;s fine, but I&apos;m not hugely crazy about this centre-parted, flippy ends hairstyle. Amy Adams at the 2016 Refugee exhibit at the Annenberg Space for Photography. Close-up of Amy Adams at the 2016 Refugee exhibit at the Annenberg Space for Photography. What I love: Amy just looks so healthy here. I&apos;m most enamoured with her plump, flushed cheeks and her go-to shimmery copper around her eyes. Her brows look darker and thicker than usual, and her hair is in fabulously condition. Nothing is super on-trend, just pretty and polished. What I&apos;d change: Even Amy is doing the over-drawn upper lip these days. It&apos;s doesn&apos;t really work in a gloss texture. Cara Delevingne at &apos;The Big Picture&apos; presentation at CinemaCon 2016. Close-up of Cara Delevingne at &apos;The Big Picture&apos; presentation at CinemaCon 2016. 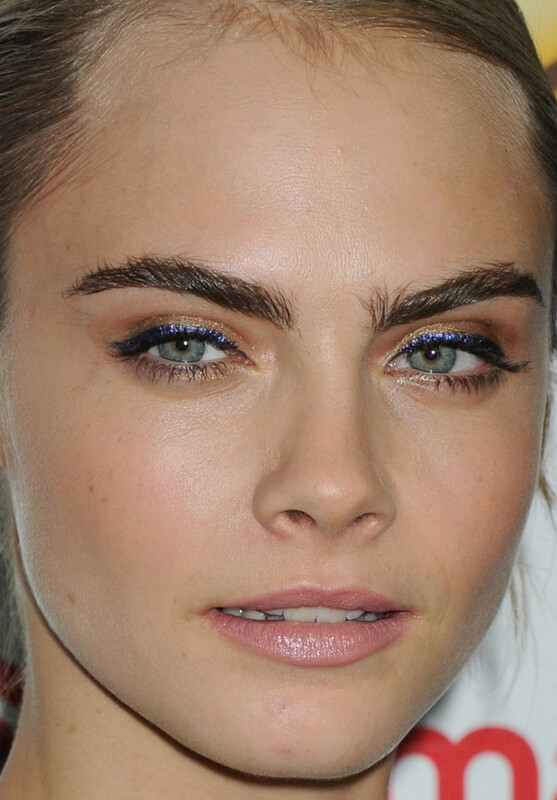 What I love: Cara&apos;s shimmering navy eyeliner is already cool on its own—but then she paired it with coppery eyeshadow, pink lipstick and a green dress. So many colours happening, but it works! I think it&apos;s because the blue is still fairly muted, so no one shade screams for attention. It also helps that she pulled her hair back into a tight updo, so the colour play makes the beauty statement. What I&apos;d change: Nothing. Kate Bosworth at the 2016 Crackle Upfront. 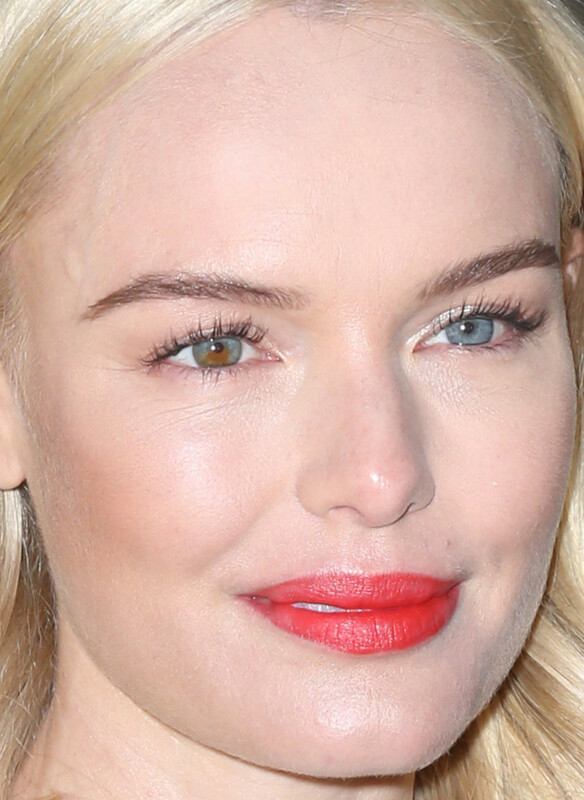 Close-up of Kate Bosworth at the 2016 Crackle Upfront. What I love: Bright lips &apos;n&apos; lashes—my favourite beauty look on Kate! This sheer but bold red stands out beautifully against her flawless complexion (with just a hint of sculpting on the cheeks, no distracting blush). I like that she kept her brows dark, even though her hair is super-blonde, as they help frame her face. What I&apos;d change: Is she getting lip filler now, too? It&apos;s everywhere! Aisha Tyler at the 2016 premiere of &apos;The Huntsman: Winter&apos;s War&apos;. 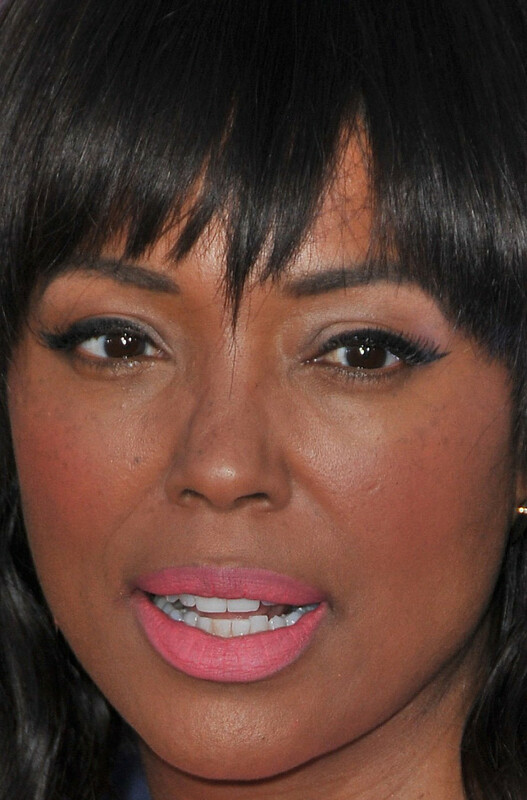 Close-up of Aisha Tyler at the 2016 premiere of &apos;The Huntsman: Winter&apos;s War&apos;. What I love: I got excited about two things Aisha is working here. First, the matte Barbie pink lipstick—it&apos;s awesome. Second, the textured lob with choppy bangs (although not sure why there&apos;s one longer piece in the centre). We last saw her with long waves, but I think this haircut is even cuter. What I&apos;d change: In the close-up, I&apos;m disappointed with her eye makeup. The exaggerated cat-eye flicks and false lashes cheapen this, and I feel her eyeshadow is too light. I also think her blush could be subtler and better blended. Bailee Madison at the 2016 Marie Claire Fresh Faces party. Close-up of Bailee Madison at the 2016 Marie Claire Fresh Faces party. What I love: Obviously, Bailee&apos;s electric blue liner! I love that we&apos;re starting to see brighter makeup colours as the weather warms up. She also has gorgeous skin and brows. Sleek, shiny hair in a deep side part, over one shoulder, is a universally flattering, timeless hairstyle. What I&apos;d change: It would be so much better if she ditched the false lashes. And while I do love the colour peach, the lipstick application is too heavy/goopy—it&apos;s more about soft, semi-matte textures now. Joey King at the 2016 Marie Claire Fresh Faces party. 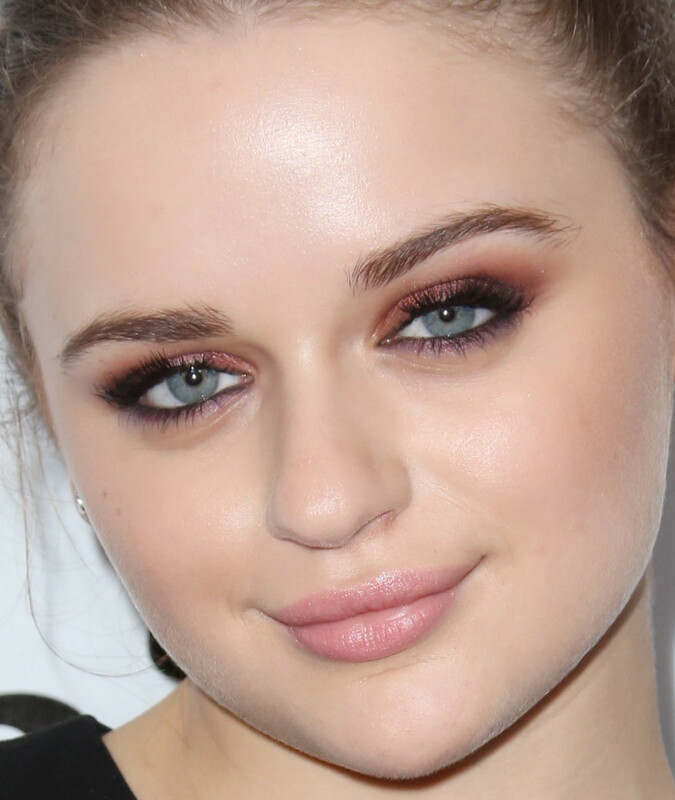 Close-up of Joey King at the 2016 Marie Claire Fresh Faces party. What I love: Joey&apos;s skin! Oh em gee... she has to have one of the best complexions in Hollywood (right alongside Abigail Breslin). I&apos;m equally mesmerized by her smoked-out purple eyeshadow; the black waterlines "ground" it and make her baby blues pop like crazy. With such dramatic eyes, a neat top knot was the way to go. What I&apos;d change: The false lashes strike again! Would have been even better without. Barbara Palvin, Gigi Hadid and more.